Recording Artist,Producer, and Concert Promoter and Actor. The memorials below are for students of Marion-franklin High School that have passed away. 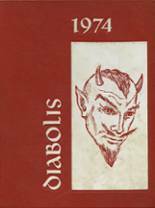 The alumni of Marion-franklin High in Columbus, Ohio are encouraged to use this site to relive their time in high school by sharing with former students and teachers of Marion-franklin High School. You can share memories of those activities that you were involved with at Marion-franklin HS and you can view other alumni and read what other former students have posted about the time they spent at Marion-franklin. Marion-franklin High School alumni can relive their experiences from high school by sharing memories and pictures, reconnecting with those alumni listed, and more. Bevelyn Carter has someone searching for them. Crystal Roberts has someone searching for them. Bernard Adams has someone searching for them. Grady Maynard has someone searching for them. Jeremy Murray registered as a MHS alumni. Jeremy Murray updated their profile picture. Jeremy Murray added photos to their personal photo gallery. 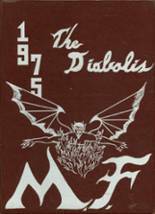 Marty Filbin Ware registered as a MHS Class of 1969 alumni. Marty Filbin Ware updated her profile picture. Marty Filbin Ware added photos to their personal photo gallery. Steve Shackelford registered as a MHS Class of 1971 alumni. Steve Shackelford added photos to their personal photo gallery. Kelly Mccoy added photos to their personal photo gallery. Kelly Mccoy registered as a MHS alumni. Kelly Mccoy updated their profile picture. Pat Elliott registered as a MHS Class of 1969 alumni. Pat Elliott updated their profile picture. Pat Elliott added photos to their personal photo gallery. Brenda Marcum Marcum Grommeck updated their profile picture. Brenda Marcum Marcum Grommeck added photos to their personal photo gallery. Brenda Marcum Marcum Grommeck registered as a MHS Class of 1977 alumni. Martin Hawkins registered as a MHS alumni. Martin Hawkins updated his profile picture. Martin Hawkins added photos to their personal photo gallery.